Copyright: © 2018 Bhardwaj H, et al. This is an open-access article distributed under the terms of the Creative Commons Attribution License, which permits unrestricted use, distribution, and reproduction in any medium, provided the original author and source are credited. A 45-year-old male presented to our institute with history of fall from bicycle previous day causing injury to right thigh. 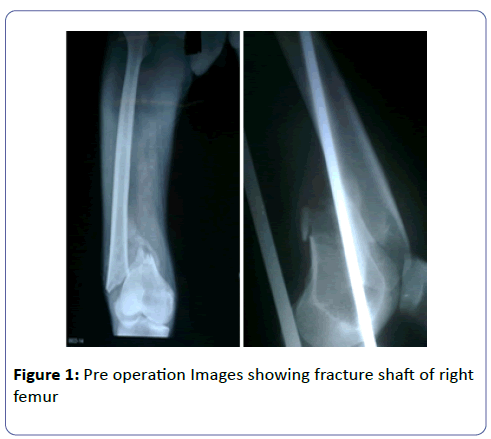 Diagnosis of fracture shaft of right side femur distal 1/3rd was made. Patients was known case of hypertension on Tab. Amlodipine 5 mg od and his vitals were found to be stable with B.P- 130/88 Pulse – 88 per min. RR-18/min afebrile and routine blood investigations found to be normal. Upper tibial skeletal traction was applied. On third day patient developed sudden weakness of the right side of the body with complete hemiplegia of right side of the body along with motor aphasia. Patient blood pressure found to be 138/90 at that time. Neurology consultation was taken and patient was investigated accordingly. Ncct- Head on same day showed feature s/o acute middle cerebral artery infract left side. Color Doppler Carotid- 33% blockage of left middle cerebral artery. Patient was put on Tab. Ecosporin 150 mg OD and Rosuvastatin 10 mg HS. There was gradual recovery in power to 1/5 as per MRC grading in wrist, elbow, toes and ankle joints within first week of starting drugs. Same drugs were continued and there was further recovery to 3/5 at wrist, elbow and shoulder in upper limb. Speech recovered but power in lower limb cannot be accurately graded due to injury, roughly it was 2/5 at ankle. MRI showed left middle cerebral artery infarct with involvement of the lacunar branches. 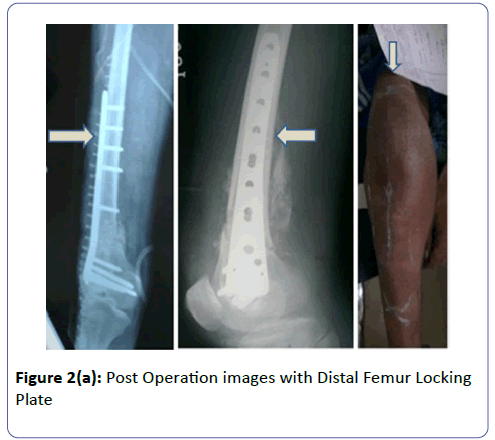 One month later Patient was operated with Distal Femur Locking Plate using Swashbuckler approach under combined spinal epidural anaesthesia. 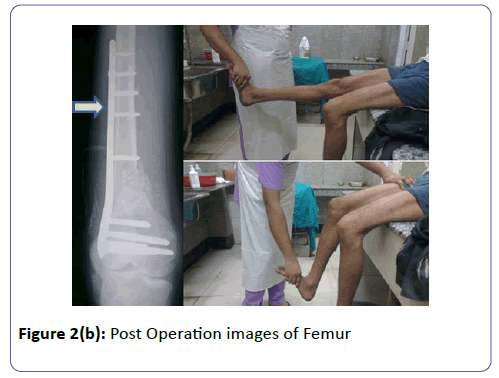 No further recovery was noted in post op period and patient was discharged subsequently and is being kept in OPD (Outpatient Department treatment) follow up (Figures 1 and 2). Stroke is classified into ischemic and hemorrhagic [1-7]. There are various risk factors of stroke classified as modifiable and non-modifiable. The non-modifiable age, gender, race, ethnicity, and heredity have been identified as markers of risk for stroke. Although these factors cannot be modified, their presence helps identify those at greatest risk, enabling vigorous treatment of those risk factors that can be modified . Age is the single most important risk factor for stroke. For each successive 10 yrs after age 55, the stroke rate more than doubles in both men and women [9-11]. Age of our male patient was 45 yrs only. There are modifiable risk factors for stroke which are as follows. Hypertension is the single most important modifiable risk factor for ischemic and haemorrhagic stroke . Other modifiable risk factors include Cardiac Disease Diabetes, Hyperlipidaemia, Cigarette Smoking, Alcohol, Illicit Drug Use etc. . Our patient was known hypertensive on treatment with controlled hypertension. Various lifestyle modifiable factors have been associated with increased stroke risk. These include obesity, physical inactivity, diet, and acute triggers such as emotional stress [13,14]. Bone fracture is an injury which causes inflammation in the initial phase which peaks at 24 h and last for a week . This leads to release of cytokines, bone morphogenic proteins, mesenchymal stem cells in a controlled manner . Polymorhonuclear leucocytes constitute 50-60% of the leucocytes and releases IL 1, IL 6 and TNF alpha . Fibrinogen is an acute phase reactant released by liver in response to injury . Fibrinogen has been linked to increase incidence of carotid artery stenosis and risk of recurrent stroke . It has effect on the viscosity, platelets, atherogenesis and act as a substrate for thrombin leading to clot formation  in early post injury period, IL-6 levels correlates with complications and mortality  complications attributed after trauma due to IL 6 are increase chances of infection and ARDS [21-23]. IL 6 has been associated with up regulation of levels of fibrinogen in response to trauma in animal model . We assume that this link might also be true in human model leading to episode of stroke in our patient as fibrinogen increases the risk of stroke. None of the clinical studies have reported a case of stroke after acute traumatic event. During stroke loss of consciousness may lead to fall which can cause bony injuries, especially in elderly and may cause fractures, but post fracture ischemic stroke is not described well in literature. It has been proved in animal models that bone fracture increases alarmins and proinflammatory cytokines in the blood, and provokes macrophage infiltration and proinflammatory cytokine expression in the hippocampus which may lead to post injury ischemic stroke as in our case. Post injury ischemic stroke is an unheard identity. Animal research shows that trauma increases the chances of clotting though human reports are lacking. Fibrinogen is one of the modifiable risk factor for stroke. IL 6, which increases in acute inflammatory phase of fracture healing, has been associated for up regulating the fibrinogen levels in animal model. It has been found in animal model that bone fracture increases alarmins and proinflammatory cytokines in the blood, and provokes macrophage infiltration and proinflammatory cytokine expression in the hippocampus. These factors might have led to ischemic stroke in our patient. These mediators may cause further injury to brain in predisposed at risk patients as was in our case. Although rare in occurrence surgeon should be aware of this. Further studies are needed to establish this association. Poungavarin N (1998) Strokes in developing countries. Lancet 352: 19-22. Nadamuni S (2002) Researchers identify stroke subtypes in India. Lancet 359: 500. Morey SS (1999) National Stroke Association Develops a Consensus Statement on Prevention of Stroke. Am Fam Physician 60: 314-317. Dennis MS, Lo KM, McDowall M, West T (2002) Fractures after stroke: frequency, types, and associations. Stroke 33: 728-734. Peszczynski M (1957) The fractured hip in hemiplegic patients. Geriatrics 12: 687-690. Degos V, Maze M, Vacas S, Hirsch J, Guo Y, et al. (2013) Bone fracture exacerbates murine ischemic cerebral injury. Anesthesiology 118: 1362-1372. Grisso JA, Kelsey JL, Strom BL, Chiu GY, Maislin G, et al. (1991) Risk factors for falls as a cause of hip fracture in women. The Northeast Hip Fracture Study Group. N Engl J Med 324: 1326-1331. Sacco RL, Benjamin EJ, Broderick JP, Dyken M, Easton JD (1997) American Heart Association Prevention Conference. IV. Prevention and Rehabilitation of Stroke. Risk factors. Stroke 28: 1507-1517. Brown RD, Whisnant JP, Sicks RD, O'Fallon WM, Wiebers DO (1996) Stroke incidence, prevalence, and survival: secular trends in Rochester, Minnesota, through 1989. Stroke 27: 373-380. Wolf PA, D’Agostino RB, O’Neal MA, Sytkowski P, Kase CS, et al. (1992) Secular trends in stroke incidence and mortality: the Framingham Study. Stroke 23: 1551-1555. Broderick JP (1994) Intracerebral hemorrhage. In: Gorelick PB, Alter M, eds.Handbook of Neuroepidemiology. New York, NY: Marcel Dekker Inc.
Lin CH, Shimizu Y, Kato H, Robertson TL, Furonaka H, et al. (1984) Cerebrovascular diseases in a fixed population of Hiroshima and Nagasaki, with special reference to relationship between type and risk factors. Stroke 15: 653-660. Abbott RD, Rodriguez BL, Burchfiel CM, Curb JD (1994) Physical activity in older middle-aged men and reduced risk of stroke: the Honolulu Heart Program. Am J Epidemiol 139: 881-893. Kiely DK, Wolf PA, Cupples LA, Beiser AS, Kannel WB ( 1994) Physical activity and stroke risk: the Framingham Study. Am J Epidemiol 140: 608-620. Cho TJ, Gerstenfeld LC, Einhorn TA (2002) Differential temporal expression of members of the transforming growth factor beta superfamily during murine fracture healing. J Bone Miner Res 17: 513-520. Gerstenfeld LC, Cullinane DM, Barnes GL, Graves DT, Einhorn TA (2003) Fracture healing as a post-natal developmental process: molecular, spatial, and temporal aspects of its regulation. J Cell Biochem 88: 873-884. Pape HC, Marcucio R, Humphrey C, Colnot C, Knobe M, et al. 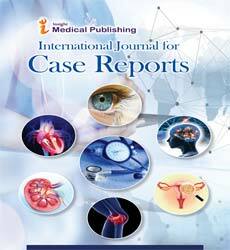 (2010) Trauma-induced inflammation and fracture healing. J Orthop Trauma 24: 522-525. R. A. Jacobson, J. G. Schoenecker (2017) Academic surgical congress abstracts. 4.04 Interleukin-6 is Essential for Endogenous Fibrinogen Release in the Acute Phase Response to Trauma. Ernst E, Resch KL (1993) Fibrinogen as a cardiovascular risk factor: a meta-analysis and review of the literature. Ann Intern Med 118: 956-963. Biffl WL, Moore EE, Moore FA, Peterson VM (1996) Interleukin-6 in the Injured Patient Marker of Injury or Mediator of Inflammation? Ann Surg 224: 647-664. Ertel W, Faist E, Nestle C, Hueltner L, Storck M, et al. (1990) Kinetics of interleukin-2 and interleukin-6 synthesis following major mechanical trauma. J Surg Res 48: 622-628. Roumen RM, Hendriks T, van der Ven-Jongekrijg J, Nieuwenhuijzen GA, Sauerwein RW, et al. (1993) Cytokine patterns in patients after major vascular surgery, hemorrhagic shock, and severe blunt trauma: relation with subsequent adult respiratory distress syndrome and multiple organ failure. Ann Surg 218: 769-776. Svoboda P, Kantorova I, Ochmann J (1994) Dynamics of interleukin 1, 2, and 6 and tumor necrosis factor alpha in multiple trauma patients. J Trauma 36: 336-340.